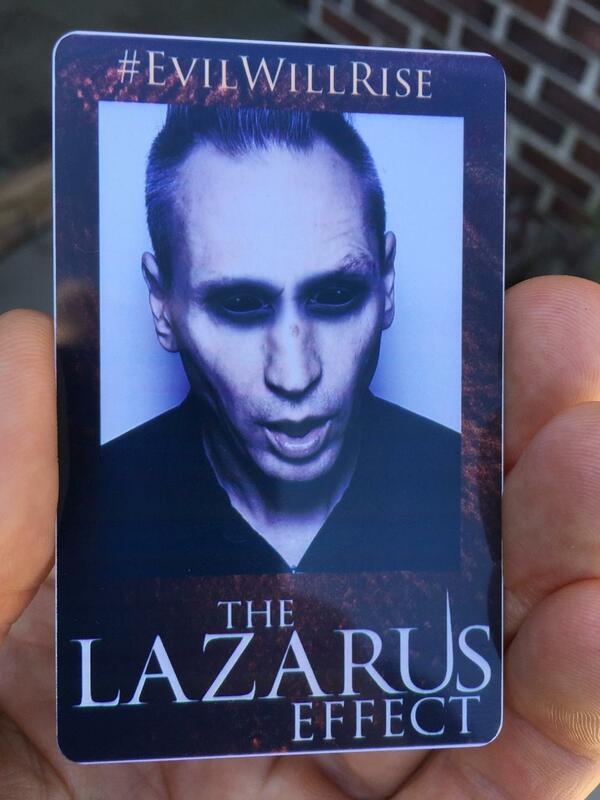 An MVS Custom photo booth made guests into zombies at the Lazarus Effect film premiere in Los Angeles last week. 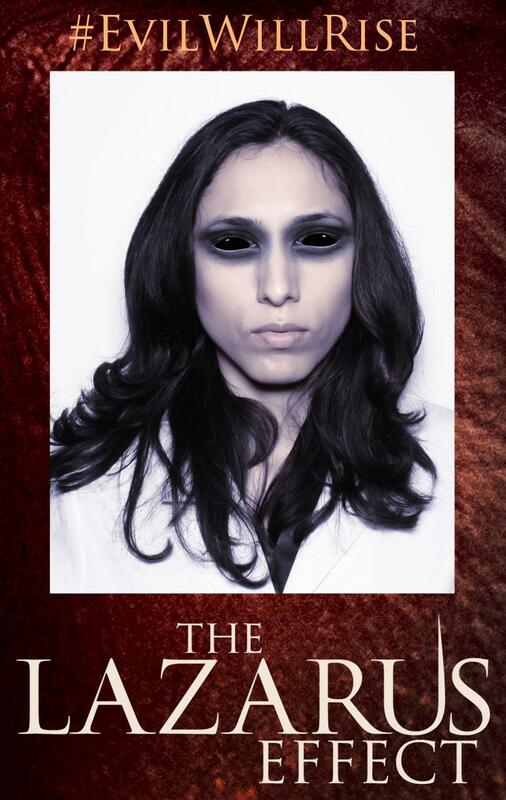 The digital makeover was a solution that we came up with to engage guests and get them spooked at the premiere of one of the scariest movies to come out this year. The custom photo booth set up captured portraits of guests upon entry into the theatre, instantly overlayed the zombie look and then printed zombie ID cards. The marketing idea was to allow entry to “zombies only”. Guests had to breeze through the process, so our workflow had to be fast and look great at the same time. We are used to helping people look their best, so this was a bit of a curve ball! First, images were shot with our photo booth and then were run through a custom droplet in photo shop to black out the eyes, give a grey pallor to the skin and even scuff up the surface of the face. The images were fed to a custom printer that could print and laminate the ID cards. The best part? It took about a minute to get a card! We made it look fantastic, or in this case, ghoulish, while making the experience seamless and easy for guests. This is why we are the go to photo booth company for marketing activations, premieres and larger themed events – we can make something incredibly complex look elegant and seem simple! 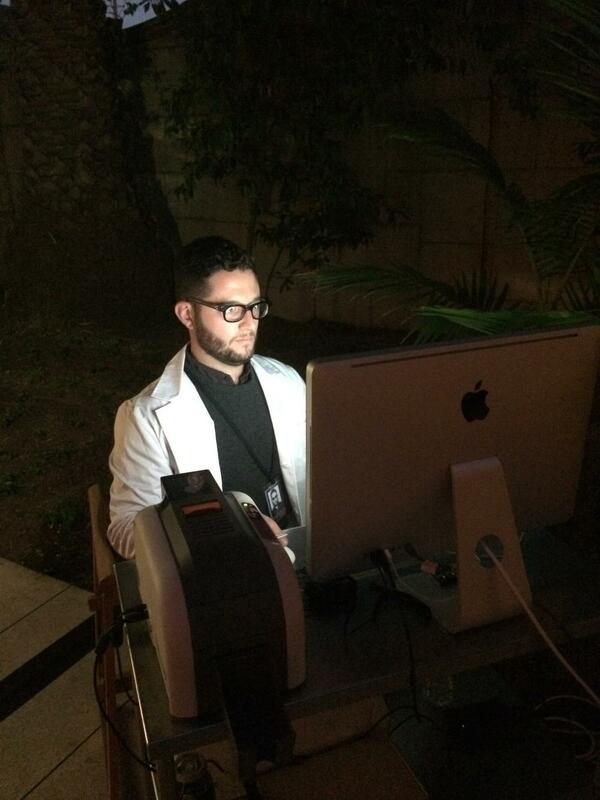 Hosted at the Grove Cemetery, the event had a creepy vibe, and our intrepid Los Angeles studio director, Michael, looked the part in a white lab coat! Are you having a marketing activation, or premiere? Click on book the booth to hear about how we can take your event to the next level! Looking To Buy A Photo Booth Kiosk?